Roger Deakin (1943-2006) was a glorious author, environmentalist and documentary maker whose books about our living landscape have left an indelible mark on those who have read his work. 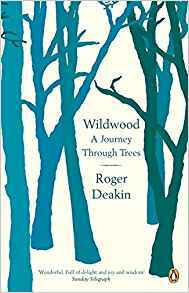 Wildwood: A Journey Through Trees was published posthumously in 2007 and offers Deakin’s thoughts and forays into the woods he knew and beyond which had captured his imagination throughout his life. It is a reflection on trees themselves and what wood means to those who work with it as well as those who benefit from them. It is a beautifully written book, each chapter is a story in itself, from the walnut used to make a Jaguar car look and feel luxurious to his 400 year old wooden house in Suffolk which he bought in ruins in 1969 and gradually restored it as a home to share with the local wildlife. 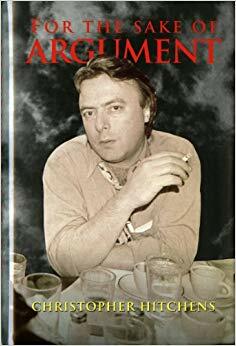 The book meanders effortlessly across Britain to Australia, the Pyrenees, Asia, China and Kyrgyzstan where he searches out the most ancient apple and walnut trees and Tasmania to the world’s oldest and, so far, untouched great forests. Deakin was a man totally at one with his natural surroundings, his description of English bluebell fields and the Rookeries he has camped under offer a stark reminder of the joys of simple living, we take his journey and rediscover the importance of our trees and the names lost in much of our day to day vocabulary; oak, elder, ash, hazel and birch. We take for granted these magnificent natural structures and Deakin reminds us of the many inhabitants of not only a wood but a single tree. 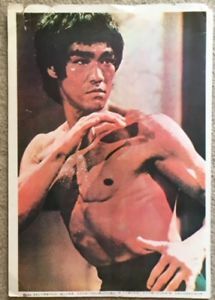 He admonishes those who fell trees with good intention but too quickly clean up the debris thus denying all those insects and birds which thrive on decaying wood and enthralls with how driftwood feeds a myriad of sea animals. Wildwood is a fine book, read his epic Waterlog: A Swimmer’s Journey Through Britain and Notes From Walnut Tree Farm for a deeper understanding of the man and the life he lived. We cannot all give up modern living and Deakin would not have asked for it but he would ask that we all take some time to see what makes up our immediate landscape and to appreciate it for what it is and more especially, what it can be for us if we allow ourselves to embrace its qualities more often than we do. We use wood throughout our lives in so many ways but how often do we stop to look and think about how it came to be. This book goes a long way in reminding us of that process and the magnificence of those trees which provide it.